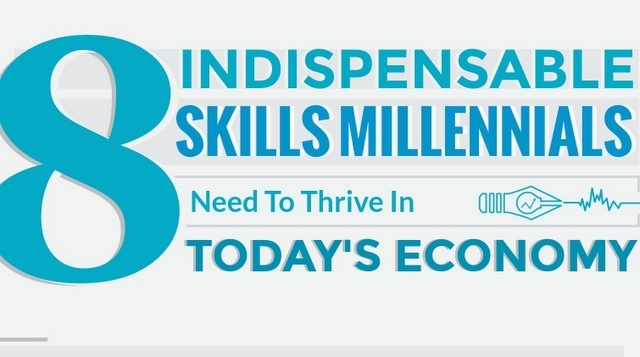 A few weeks ago I was asked to become a contributing writer for Entrepreneur Magazine, and published my first article titled “8 Indispensable Skills Millennials Need to Thrive in Today's Economy“. This article went viral, getting over 1,700 shares on Entrepreneur.com, and getting syndicated on sites like Foxnews.com. As I mentioned in this article, we're now in a skill-based economy where the game has changed for young entrepreneurs. The old-school tactics of building a puffed-up resume and having a few references who'll vouch for you no longer carries the same weight that it did several years ago. The most important thing for millennials is that they have tangible, transferable skills that can be applied to a range of markets.